(First Edition, Signed Bookplate) In this follow-up to A Train in Winter and Village of Secrets, Caroline Moorehead delivers another story of resistance in the portrait of an aristocratic Italian family that stood up to fascism. As populist, right-wing nationalism swept across Europe after World War I, and Italy's Prime Minister Benito Mussolini began consolidating his power, the cosmopolitan Rosselli family took a public stand against fascism, led by their fierce matriarch Amelia. Her sons Carlo and Nello led the opposition, taking a public stand against Il Duce that few others in their class dared risk—and which ultimately cost them their lives—yet the Rossellis' efforts helped define the path of Italy in the years between the world wars. 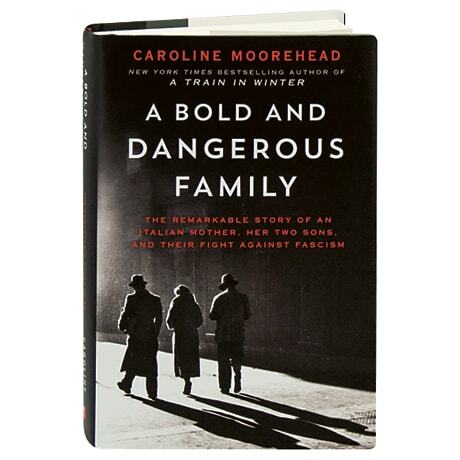 Presented here in a first edition, with a bookplate signed by Moorehead, this stirring saga portrays a family driven by loyalty, duty, and courage, yet susceptible to all the self-doubt and fear to which humans are prey.